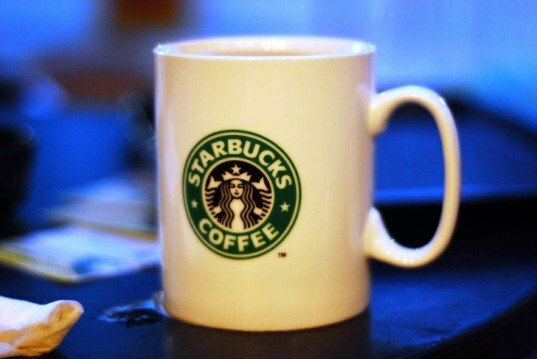 Starbucks is one of the largest global brands based in the US, with revenue generating stores in over 55 countries which took in a whopping $3 billion in the first quarter of 2011 alone. But Starbucks has faced some heat for their less product's less than sustainable side. From the sourcing of coffee beans, to the massive proliferation of paper and plastic coffee cups the finished product is served in, Starbucks faces a wide range of environmental challenges. 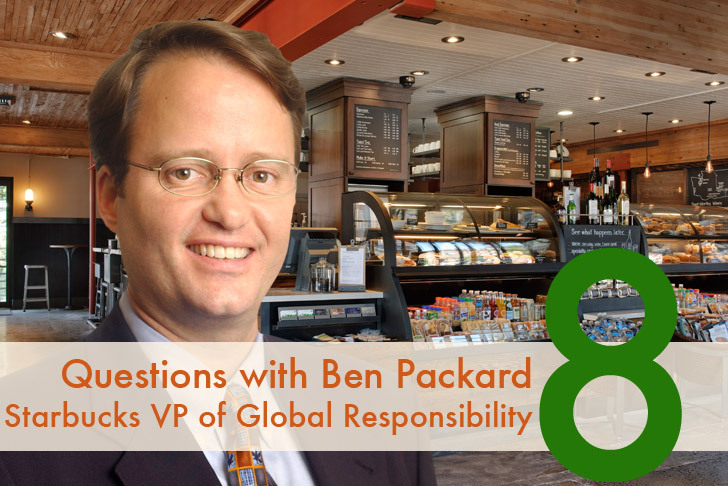 On the release of their Global Responsibility Report, we sat down with Starbucks Vice President of Global Responsibility, Ben Packard to talk about Starbucks efforts to face these environmental challenges and cement themselves as a leading sustainable brand. With a wide range of ambitious goals, including aims to make all new construction LEED certified by 2015, and to providing Sustainable Agriculture expertise and assistance in Central and South America, there's a lot to be excited about. Read on for more! INHABITAT: Can you tell us a little about what drew you to work for Starbucks as Vice President of Global Responsibility? Ben: I came to Starbucks 14 years ago as Environmental Affairs Manager, after working at the intersection of environmental issues and business for a number of years. I helped start a business in the Seattle area, and then went back to get my joint MBA in Environmental Management Certification. It was really my dream in going back to business school to work for a company that looked at environmental and social issues not only as a strategic issue, and not only as a values issue, but that was also incorporating the practices into their business. It’s been a phenomenal experience for me because the company has set a very high bar for what it means to be in business and what it means to be accountable on environmental and social issues. INHABITAT: This is one of the most ambitious sustainability plans we’ve seen, with a huge wealth of very specific goals to be attained in a relatively short time frame — by 2015. 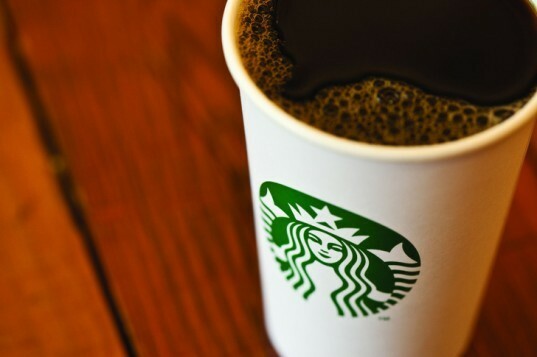 What enables Starbucks to have the confidence to invest in sustainability to this extent? Ben: We believe from a values and missions standpoint that this is the role of a business. We aim to not only take care of the employees who work for the company — who we call partners — but to take care of the communities where we source core products like coffee, tea, cocoa. And we aim to take care of the communities we depend on for our retail business by being active and engaged and finding meaningful ways to be engaged with those communities — that’s core to nurturing the human spirit, that’s always been core to Starbucks missions, and it’s a very important piece in the culture of Starbucks that has enabled us to be very bold in setting such standards. I think the most loyal and connected consumers understand this to be part of our values proposition. There’s a lot of consumers out there who if they know something about the company they might expect us to have these standards, but I think there’s also a very small subset of influential customers who do care about this as a purchase criteria. INHABITAT: In your Global Sustainability Report you lay out a number of measures you take to ensure that your coffee is ethically sourced and that coffee farmers are well treated. Could you talk more about the steps Starbucks takes to self-regulate and ensure the ethical treatment of coffee farmers? Ben: Starbucks takes a multi-pronged approach that relies on a robust set of standards that we use to buy our coffee; on investing in the communities where we buy our coffee through financing and technical assistance, and on more traditional philanthropic activities. We provide access to lines of credit, and we provide technical assistance through what we call farmer support centers. We have these centers throughout Central and South America, providing economic and sustainable agriculture expertise that our company is investing in to help improve the resilience and the quality of the coffee that’s coming from a lot of these areas. Our philanthropic activities support basic social wellness, access to education and basic infrastructure needs in some of these key coffee growing regions. A lot of folks pin their focus on the standards and certification piece as it guarantees the consumer where their coffee is coming from. We’re happily making progress towards our goal of ensuring that 100% of our coffee is ethically sourced by 2015. Last year 86% of our coffee came from Coffee and Farmer Equity (C.A.F.E.) practices that we implemented in our buying practices over seven years ago. INHABITAT: We’ve seen some pretty extraordinary Starbucks locations pop up recently, from a converted bank vault in Amsterdam to a Shipping Container Drive through in Washington. You just announced that 75% of your new company-owned stores in 2011 have achieved LEED certification. What are some of the challenges of working with sustainable building practices? Ben: We joined the U.S. Green Building Council ten years ago, and I chaired the Retail Development Committee of the USGBC for six years. What we worked to do was create a LEED for Retail, originally LEED was written just for owner occupied office buildings, not retail buildings. Through our partnership with developed a LEED for Retail and Commercial Interiors, which is what most of our stores are — in pre-exisitng space. We also helped develop LEED for Retail New Construction, why working with a number of groups to develop LEED for Multi-Building Portfolio Certification. So as you implement the same strategy you don’t have to apply the same documentation and administrative burden each time you finish a location. With 75% of our new stores this year attaining LEED Certification, we probably have the biggest portfolio of any company. It’s probably the greatest number of LEED buildings built by a single institution, ever. We’re very excited about it. In existing buildings we still deploy the same sustainable strategies — the lighting, the equipment, the paints, the finishes, the communities tables that are reused tables, the refurbished that we’re deploying. They’re all strategies that we use, even when the building type may not allow us to get LEED Certification. INHABITAT: Starbucks is aiming to purchase renewable energy equivalent to 100% of the electricity used in global company-owned stores by 2015 – how are you going about this? Ben: We use LEED Certified Renewable Energy Credits (RECs), in the past year primarily Wind RECs. Last year our aim was to have 50% of our energy in the U.S. and Canada come from renewable energy sources, and we changed that goal to 100% of our energy globally – so all of our company owned stores would be powered by renewable energy. The EPA has said that we’re the seventh largest private purchaser of renewable energy in the U.S.
INHABITAT: Water usage is a huge issue in food and beverage industry, and in your report you outlined that water usage increased by 5% last year. What steps is the corporation taking to try to reduce water usage? Ben: Even though we took one step backwards this past year, we feel like we’re pretty far down the line in identifying things we can do to reduce water usage as we look behind the bar and look at all the water related activities going on. We’re working closely with suppliers to get more water efficient technologies in our stores. Concern for — and awareness of — water scarcity is broad, especially if you look at the markets where Starbucks is located. I think there’s a lot of technology innovation potential in this particular area, and we’re seeing very receptive supply chain partners in addressing water issues. INHABITAT: Packaging is another major concern for food and beverage industry, and the paper cup is a ubiquitous identifier for a coffeehouse. You recently reduced your goal from serving 25% of coffee in reusable or recyclable cups by 2015 to 5%, what was the reasoning behind this reduction? Ben: We thought we could reach our goal of 25 percent of all beverage cups because, on average, 20 percent of our business stays in store. If we could capture all of that in ceramics, then we could make up the 5 percent from consumers bringing their own cups. What we learned in the last few years was that the impact on store operations to ask every single customer if they wanted a ceramic cup was not something that helped the overall customer experience. We’re not walking away from the use of ceramics at all, they’re right behind the barista and there’s very visible cues for the customer to opt to use ceramics. What we’re going to focus on measuring instead is the piece that we are already tracking — the number of times we give a discount to a customer who brings their own mug. There’s also a very strong consumer interest in having our cups be recyclable and making recycling available. We’ve had back of house recycling in our stores for at least a decade, and that includes things like milk jugs and other things we generate behind the bar. But the front of house recycling has really had high customer interest. INHABITAT: What does the future hold for Starbucks Sustainability Plan? Where do you see the companies Sustainability Goals heading after 2015? Ben: I think we’ll see new revolutions to address sustainability issues. I think we’ll see new levels of understanding at a time when governments are pressed for resources. You’re seeing new levels of understanding of what the roles of corporations are in addressing some of these massive societal issues whether it’s climate change, food scarcity, water scarcity. I think there’s a new openness to how companies perceive themselves and what they can do to address these issues and that’s very exciting to me. All images courtesy of Starbucks, except 5 by mycocoabutter on Flickr, and 7 by brooklyn on Flickr. It's great to see that companies like Starbucks are spending the money to become more sustainable. I wish we would see more companies doing the same thing, but the biggest issue with sustainability and changing consumer behavior is that it's expensive. Hopefully people begin to see the value in sustainability and take that into more consideration in their lives. 1. 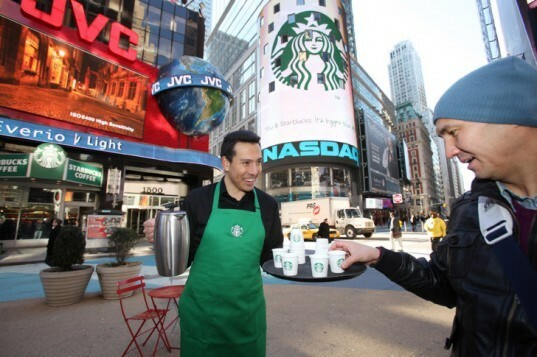 Can you tell us a little about what drew you to work for Starbucks as Vice President of Global Responsibility? Ben: I came to Starbucks 14 years ago as Environmental Affairs Manager, after working at the intersection of environmental issues and business for a number of years. I helped start a business in the Seattle area and then went back to get my joint MBA in Environmental Management Certification. It was really my dream in going back to business school to work for a company that looked at environmental and social issues not only as a strategic issue, and not only as a values issue, but that was also incorporating the practices into their business. It's been a phenomenal experience for me because the company has set a very high bar for what it means to be in business and what it means to be accountable on environmental and social issues. 2. This is one of the most ambitious sustainability plans we've seen, with a huge wealth of very specific goals to be attained in a relatively short time frame — by 2015. 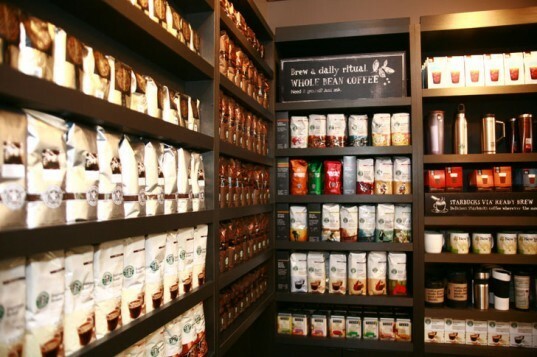 What enables Starbucks to have the confidence to invest in sustainability to this extent? Ben: We believe from a values and missions standpoint that this is the role of a business. We aim to not only take care of the employees who work for the company — who we call partners — but to take care of the communities where we source core products like coffee, tea, cocoa. 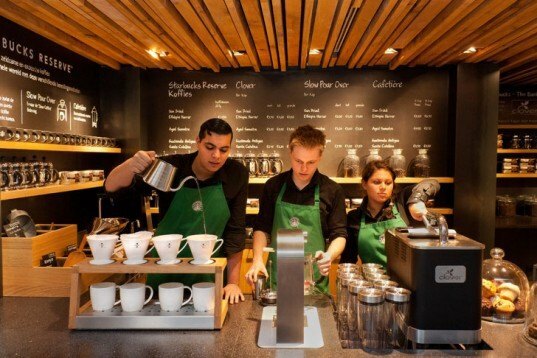 And we aim to take care of the communities we depend on for our retail business by being active and engaged and finding meaningful ways to be engaged with those communities — that's core to nurturing the human spirit, that's always been core to Starbucks missions and it's a very important piece in the culture of Starbucks which has enabled us to be very bold in setting such standards. I think the most loyal and connected consumers understand this to be part of our values proposition. There's a lot of consumers out there who if they know something about the company they might expect us to have these standards, but I think there's also a very small subset of influential customers who do care about this as a purchase criteria. 3. In the Global Sustainability Report you lay out a number of measures you take to ensure that your coffee is ethically sourced and that coffee farmers are well treated. Could you talk more about the steps Starbucks takes to self regulate and ensure the ethical treatment of coffee farmers? Ben: Starbucks takes a multi-pronged approach which relies on a robust set of standards that we use to buy our coffee, on investing in the communities where we buy our coffee through financing and technical assistance, and on more traditional philanthropic activities. We provide access to lines of credit, and we provide technical assistance through what we call farmer support centers. We have these centers throughout Central and South America, providing economic and sustainable agriculture expertise that our company is investing in to help improve the resilience and the quality of the coffee that's coming from a lot of these areas. Our philanthropic activities support basic social wellness, access to education and basic infrastructure needs in some of these key coffee growing regions. A lot of folks pin their focus on the standards and certification piece as it guarantees the consumer where their coffee is coming from. We're happily making progress towards our goal of ensuring that 100% of our coffee is ethically sourced by 2015. Last year 86% of our coffee came from Coffee and Farmer Equity (C.A.F.E.) practices that we implemented in our buying practices over seven years ago. 4. 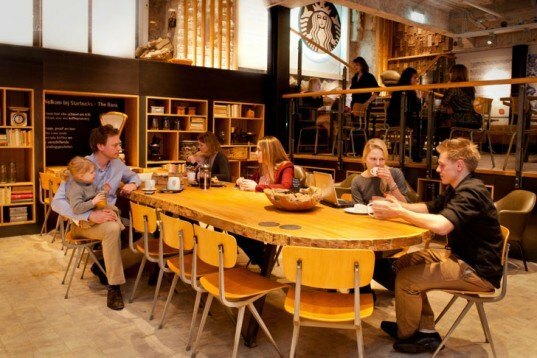 We've seen some pretty extraordinary Starbucks locations pop up recently, from a converted bank vault in Amsterdam to a Shipping Container Drive through in Washington. You just announced that 75% of your new company-owned stores in 2011 have achieved LEED certification. What are some of the challenges of working with sustainable building practices? Ben: We joined the U.S. Green Building Council ten years ago, and I chaired the Retail Development Committee of the USGBC for six years. What we worked to do was create a LEED for Retail, originally LEED was written just for owner occupied office buildings, not retail buildings. Through our partnership with developed a LEED for Retail and Commercial Interiors, which is what most of our stores are — in pre-exisitng space. We also helped develop LEED for Retail New Construction, why working with a number of groups to develop LEED for Multi-Building Portfolio Certification. So as you implement the same strategy you don't have to apply the same documentation and administrative burden each time you finish a location. With 75% of our new stores this year attaining LEED Certification, we probably have the biggest portfolio of any company. It's probably the greatest number of LEED buildings built by a single institution, ever. We're very excited about it. In existing buildings we still deploy the same sustainable strategies — the lighting, the equipment, the paints, the finishes, the communities tables that are reused tables, the refurbished that we're deploying. They're all strategies that we use, even when the building type may not allow us to get LEED Certification. 5. Starbucks is aiming to purchase renewable energy equivalent to 100% of the electricity used in global company-owned stores by 2015 -- how are you going about this? Ben: We use LEED Certified Renewable Energy Credits (RECs), in the past year primarily Wind RECs. Last year our aim was to have 50% of our energy in the U.S. and Canada come from renewable energy sources, and we changed that goal to 100% of our energy globally - so all of our company owned stores would be powered by renewable energy. 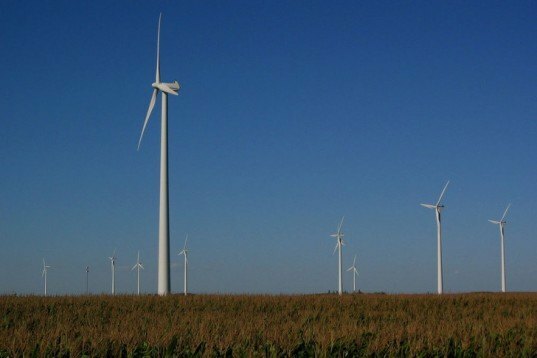 The EPA has said that we're the seventh largest private purchaser of renewable energy in the U.S.
6. Water usage is a huge issue in food and beverage industry, and in your report you outlined that water usage increased by 5% last year. What steps is the corporation taking to try to reduce water usage? Ben: Even though we took one step backwards this past year, we feel like we're pretty far down the line in identifying things we can do to reduce water usage as we look behind the bar and look at all the water related activities going on. We're working closely with suppliers to get more water efficient technologies in our stores. Concern for — and awareness of — water scarcity is broad, especially if you look at the markets where Starbucks is located. I think there's a lot of technology innovation potential in this particular area, and we're seeing very receptive supply chain partners in addressing water issues. 7. Packaging is another major concern for food and beverage industry, and the paper cup is a ubiquitous identifier for a coffeehouse. You recently reduced your goal from serving 25% of coffee in reusable or recyclable cups by 2015 to 5%, what was the reasoning behind this reduction? We thought we could reach our goal of 25 percent of all beverage cups because, on average, 20 percent of our business stays in store. If we could capture all of that in ceramics, then we could make up the 5 percent from consumers bringing their own cups. What we learned in the last few years was that the impact on store operations to ask every single customer if they wanted a ceramic cup was not something that helped the overall customer experience. We're not walking away from the use of ceramics at all, they're right behind the barista and there's very visible cues for the customer to opt to use ceramics. What we're going to focus on measuring instead is the piece that we are already tracking — the number of times we give a discount to a customer who brings their own mug. There's also a very strong consumer interest in having our cups be recyclable and making recycling available. We've had back of house recycling in our stores for at least a decade, and that includes things like milk jugs and other things we generate behind the bar. But the front of house recycling has really had high customer interest. 8. 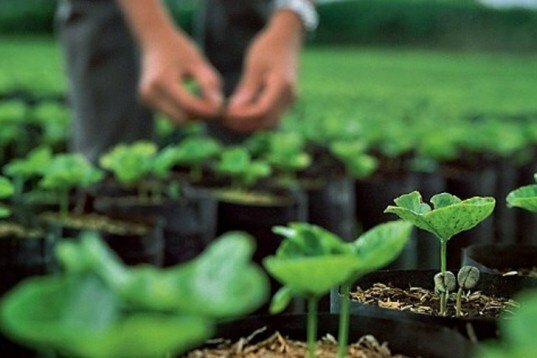 What does the future hold for Starbucks Sustainability Plan? Where do you see the companies Sustainability Goals heading after 2015? Ben: I think we'll see new revolutions to address sustainability issues. I think we'll see new levels of understanding at a time when governments are pressed for resources. You're seeing new levels of understanding of what the roles of corporations are in addressing some of these massive societal issues whether it's climate change, food scarcity, water scarcity. I think there's a new openness to how companies perceive themselves and what they can do to address these issues and that's very exciting to me.